their favourite food is mullet? Yes, if you keep an eye on mullet schools long enough you can sometimes see violent water thrashing near them. Those are usually Barramundis but also can be Barracudas as well. 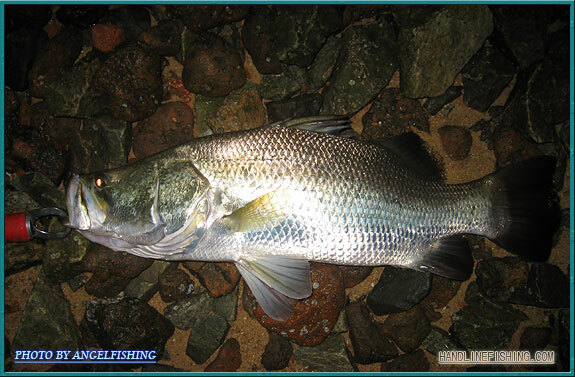 Mullets being one of the commonest fish in brackish habitat are the main food source of the Barramundis. Of course, they also feed on other fishes and prawns as well. DO they eat milk fish fry also ??? Do you mean milkfish bought from tackle shops or the baby milkfishes in the wild? They do target it but big Barramundis will be more interested to chase after larger meals. What is the size u meant big ???? 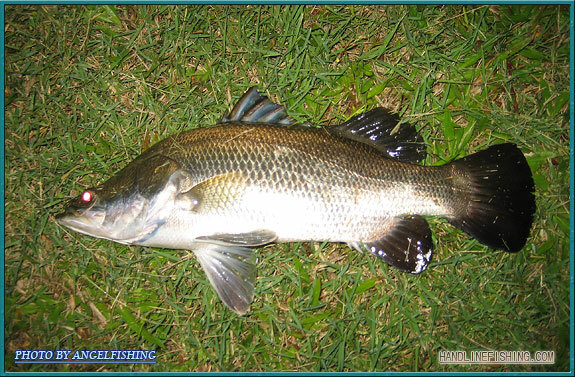 The ones you buy from tackle shops, a half kg barramundi can easily take on it. nice but they put it in the freshwater catogroy ???? 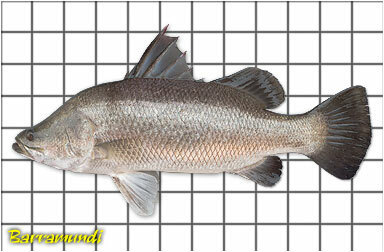 Barramundi are better adapted to salt/brackish water though they can slowly adapt to freshwater as well. 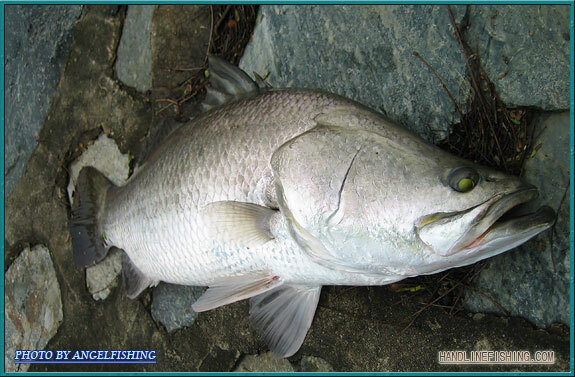 milkfish or live prawn?which is better for catching seabass? ?i see people mostly use prawn because it is cheaper?? It all depends, Milk fish will be more lasting compare to live prawns, as prawns might most likely be attack by other fishes. Comparing milk fish going by per piece and live prawns going by grams, milk fish is definitely expensive if u tend to miscast, the bait falls off. 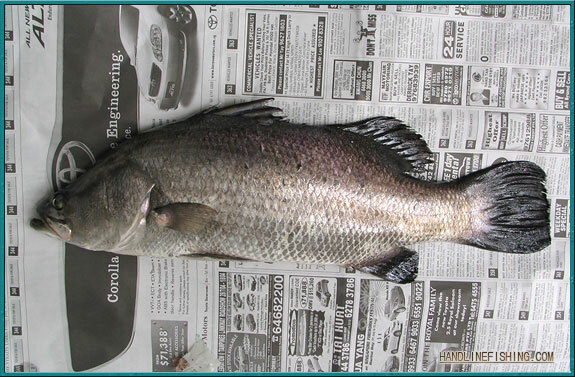 Normally, what most anglers would do is they would get a few pieces of milk fish and few hundred grams of live prawn, and they'll alternate the milk fish if the barramundi doesn't take live prawns. The larger ones are in mangrove swamps or brackish canals. Also,they just sem to arrive at night due to less fishing pressure. limfish wrote: The larger ones are in mangrove swamps or brackish canals. A lot of people in Australia like to fish for it in boats. They tend to use lures. what are KBL hotspot in singapore?